Penn with paper, Möe Clark standing. 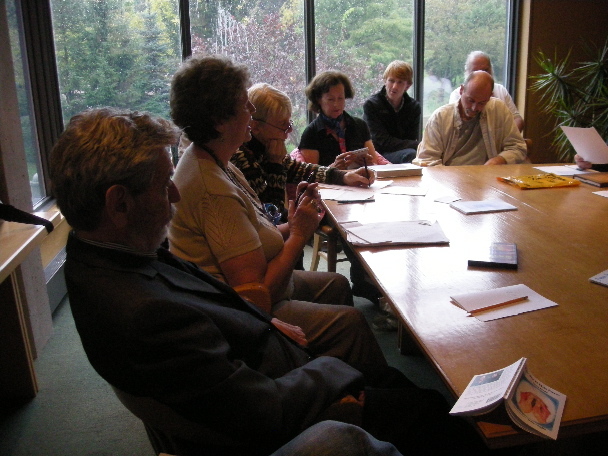 Yesterday, on a day when the sky bore down, flooding Canada’s poetry capital, Westmount, Quebec, Penn Kemp(London, Ontario’s Poet Laureate) and Möe Clark(2010 Leonard Cohen Poet In Residence at Westmount High) did the dazzle at Westmount Public Library. 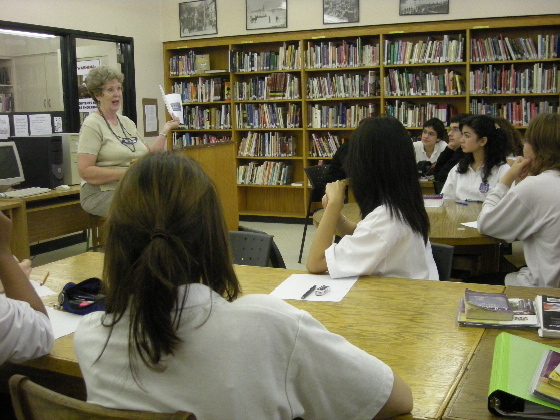 Before that, Penn gave workshops at Westmount High and to a large, enthusiastic crowd at the library. I wish I had such energy. Special thanks to Donna Lach and the Westmount Library, Principal Michael Cristofaro and teacher Ryan Ruddick from Westmount High, the Playwrights’ Guild of Canada, the Canada Council, the Foundation for Public Poetry, and the Westmount Independent for publicizing the event. Penn Kemp at Westmount High. 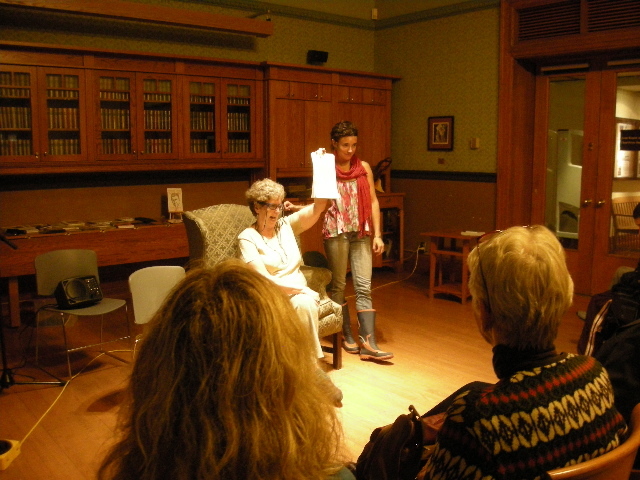 Penn presenting a master class at Westmount Library. This entry was posted on October 1, 2010 at 9:03 pm and is filed under Uncategorized. You can follow any responses to this entry through the RSS 2.0 feed. You can leave a response, or trackback from your own site.